Eye On The Target Radio is a live variety show with news, listener calls, and guests. Favorite topics include self-defense for women, self-defense training, historic firearms, and current gun laws. They are third generation gun geeks. Their father was an extreme gun collector of Ruger .357’s and their mother taught Hunters Safety Education. They have early memories of walking the trap field with their grandfather – picking up once shot wads – to clean and reload. Somehow Grampy Dean convinced them both that running the reloading machine was great fun. Amanda likes to tell that Rob’s first book was the Dixie Gunworks Catalog. As NRA certified instructors, they went on the radio to discuss Ohio’s concealed carry law passage, and some say they never stopped talking. 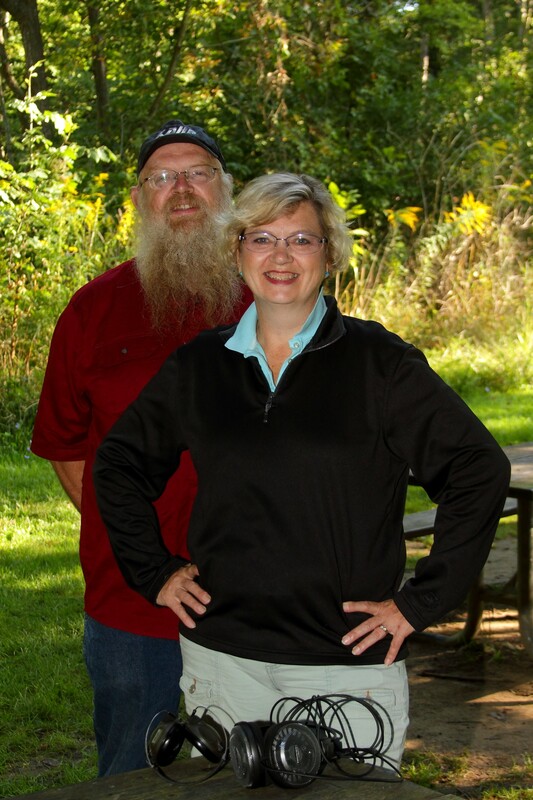 They have been bringing their broad experience as recovering gun store owners, advocates for prepared self-defense, and firearms instructors to radios and events across Ohio since 2010. In this show format, listeners bring their questions about personal security, armed self-defense, firearms, and trending news. call or topic doesn’t go by without a playful poke at each other or a friend of the show. Bob and Amanda translate gun-geek into understandable english designed for a general audience. Call in with your question about how to start your self-defense education, about the obscure firearm you found, or bring that strange question you always wanted to ask.